I know that things have turned out differently than expected and I know that’s hard. You envisioned what kind of mom you would be, how your children would behave, and how much joy would fill your home. And, oh, there is joy, but there’s a lot of hard work, heartache, and recognizing your expectations were not realistic. Instead of throwing in the dirty kitchen towel, instead of hiding out behind closed doors (although it’s perfectly acceptable to retreat to the closet every now and then), instead of fighting a losing battle for control…I invite you to change your perspective—to exchange your expectations for a new outlook. Now the victory might look different than you think. It might not mean that everything and everyone turns out like you envisioned, but it might mean that you find grace in unexpected places, determination not to give up, and a fierce love that you didn’t know existed. The battles you have with your daughter are bonding your hearts in a way that easy street never could. Give it time, try to stay tender, and remember that “most battles are won on your knees.” Pray on. Let the anger issues you see in your son and yourself—that feel like a sucker punch to the gut—strengthen your resolve to train him and fight for him as he prepares to get in the ring with the world. Remember that you are on the same team, and a unified team can conquer opponents that outsize them. The stubbornness you see in her can drive you crazy or it can reassure you that her innate determination will help her scale mountains, speak up for others, and propel her through hard times. The recklessness you worry about in your child may morph into the bravery he needs to do what he is made to do. Teach him to be wise in his bravery through your example…as you get up each day and mother, even when you’d rather hide out under the covers. You are a mom. And you are a warrior. You may be in the throes of toddlerhood or in the trenches of teen-dom, but you are not a prisoner of war. You can be victorious even when motherhood looks different from what you expected. Victory might look like the three-year-old finally going potty on the toilet. Victory might look like the tween doing the dishes with a happy heart (it’s possible, I’ve witnessed it). Victory might mean he yelled less today than yesterday, and you did too. Victory might mean she finally looked both ways before crossing the street. Celebrate these victories—however small—because they will propel you forward into joy, peace, and hope. Find joy, not in the A+, but in belly laughs, spontaneous dance parties, and “I love you’s” that come at just the right time. Find peace, not in fleeting circumstances, but in the realization that you don’t have to have it all together. Find hope, not in the absence of turmoil, but in the fact that you are all growing and learning to love amidst the messiness of life. Celebrate the small victories of today—they lead to the big victories of tomorrow. Subscribe to receive all the latest posts for FREE (enter your email in the top right box). I’d love to connect with you on Facebook too. 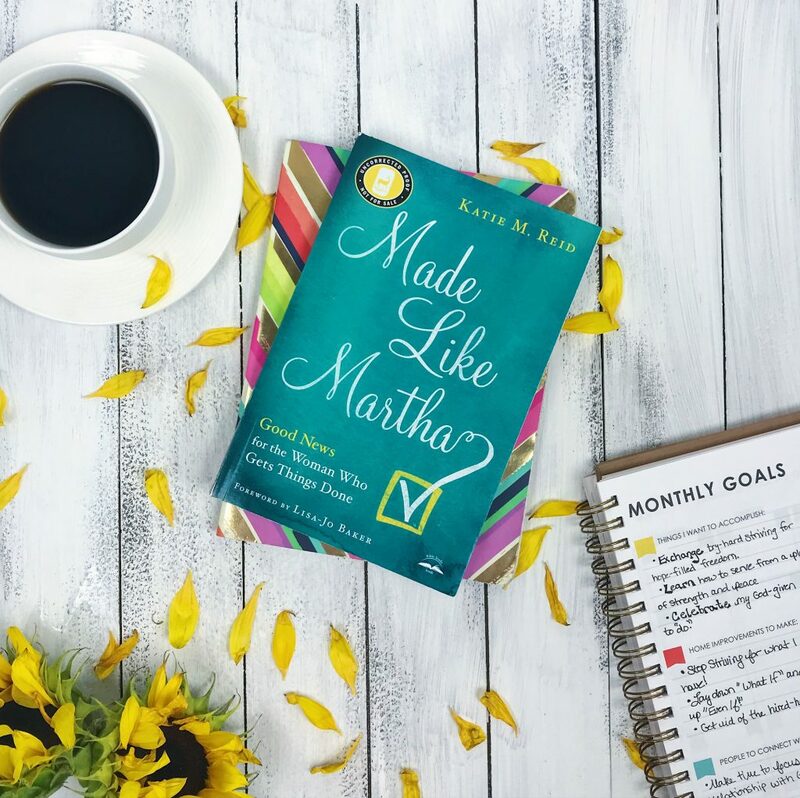 Checkout good news for women who get things done via my book, Made Like Martha. P.S. An adapted version of this post can also be found on TODAY’s Parenting Team Blog. P.S. 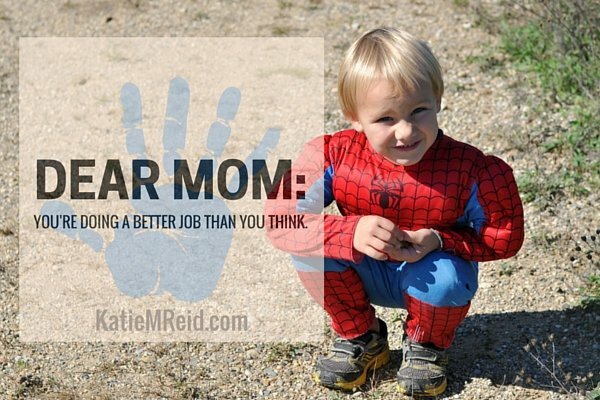 This post was inspired by Amber C. Haines’ and Seth Haines’ latest book, The Mother Letters. 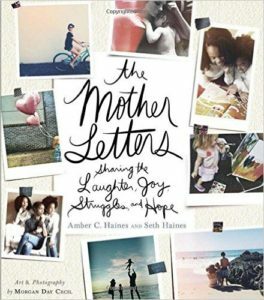 The Mother Letters: Sharing the Laughter, Joy, Struggles, and Hope is a beautiful compilation of letters from all sorts of moms. I smiled, nodded, and cried a little too. I’m grateful to have read the hearts of moms on its pages and to know that I’m not alone in the struggles. We are part of a great sisterhood that shares a similar thread…the deep desire to be a good mom and to raise our children well. This book would make a lovely gift for Mother’s day and baby showers. The photography and art intertwined with honest words makes this book extra special. *I received this book for free through Revell Reads in exchange for my honest review. **If you order The Mother Letters through the links on this post, my friends will get a few cents toward their adoption. P.P.S. Need some more encouragement? 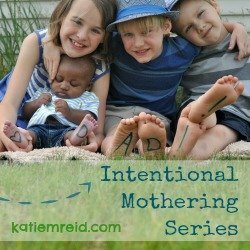 Checkout the free Intentional Mothering series. Seventeen posts to encourage, inspire, and instruct as you become a more purposeful mama. Excellent and so encouraging. 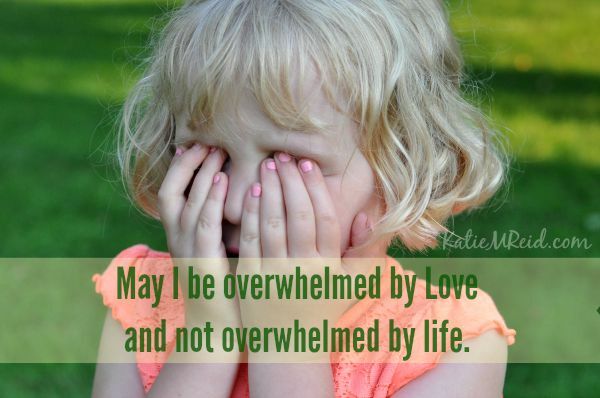 This tired mom needed those words today – thank you!! Tired moms unite. 🙂 Glad you were encouraged Meredith. Hang in there! Honestly, these words are exactly what I needed to hear after a week full of doubt, fear, confusion, and heartache. God spoke through you…thank you. The expectations and dreams we have for our children are simply that…our dreams, our visions. Not theirs. Letting go of what we think is best and what we think is right is one of the hardest things to do, but so necessary. As a an empty nest momma of three young adults, I can attest this lesson only becomes more difficult, but equally necessary. We can only fall to our knees in trusting expectancy. God gave us our kids, and He will lead where He sees fit. Thank you for sharing Shelby. May God comfort you as you entrust your kids to Him.